Sponsorship opportunities available. Please contact Ani Dikranian at (818) 838-4860 or anid@ararathome.org. 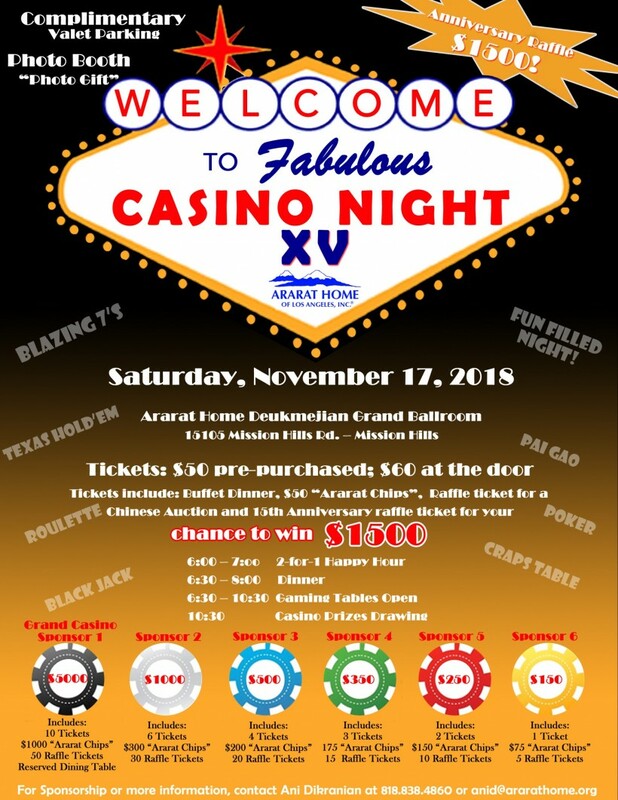 Tickets may be purchased by check (payable to “Ararat Home”) or here.